Sanjid received a B.S. in Biology from the University of Toronto, and an M.A. in Biotechnology from Columbia University. After graduating from his masters’ program in 2015, Sanjid worked as a research technician at the lab of Dr. Gilbert di Paolo. 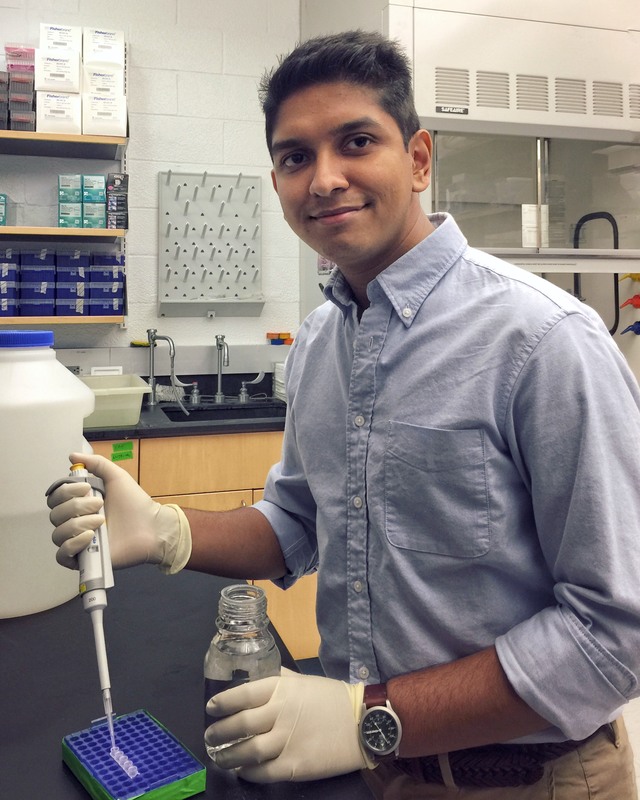 He joined the graduate program in Pathobiology and Molecular Medicine at Columbia University Irving Medical Center in the fall of 2016. In June 2017, Sanjid joined Dr. Dritan Agalliu’s laboratory in the Department of Neurology, where his current research project focuses on investigating the mechanisms of blood brain barrier breakdown and repair in Experimental Autoimmune Encephalomyelitis (EAE).